Can I Afford Sleepaway Camp? The financial transition from daycare or day camp to sleepaway camp can be daunting. However, if you’re asking yourself “Can I afford sleepaway camp?” the answer is yes. 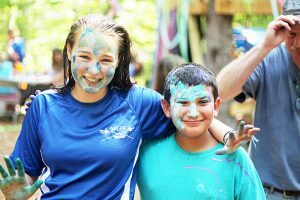 Camp Quinebarge offers a premiere, all-inclusive camp program tailored to fit each child’s needs and preferences, along with shorter session options to fit every budget. We understand that every family has a unique financial situation. To make paying for camp as easy as possible, we offer convenient solutions for families. Families can pay in full by June 1, or enroll in a monthly auto-payment plan as fits their needs. A choice of making payments with eCheck, paper check, or by credit card bring even more flexibility to payment plans. Additionally, our $500 deposit is fully refundable through January 31 for the following summer, so you don’t need to worry if your summer plans change. A summer at Camp Quinebarge is about more than simply having fun. Our campers leave Quinebarge happier, more confidence, and more resilient than when they arrived. 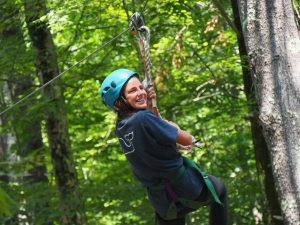 Campers build confidence, learn new skills, and expand their horizons over the course of their stay. 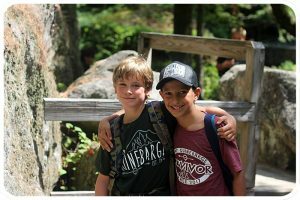 And of course, each camper will go home having made or strengthened friendships that will last a lifetime.